Up for learning a new craft-y skill this Friday? 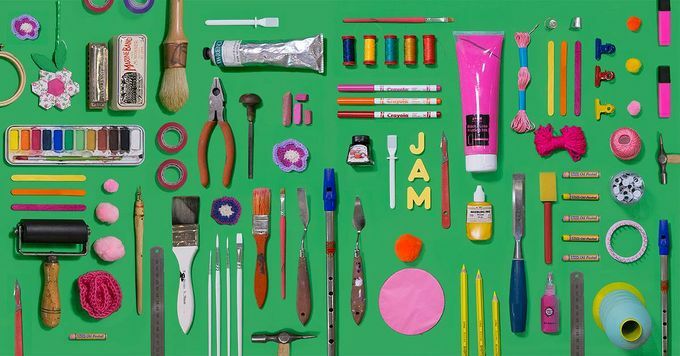 Returning this Friday 5 October from 7pm for its fifth year, get busy with some late-night crafting, at the Millennium Gallery's October Live Late edition. To celebrate turning five, the evening is set to be even bigger and better than ever, with live craft, music, workshops, demonstrations and craft stalls – not forgetting the bar. Live Lates is a series of events run by Museums Sheffield, which opens up exhibitions after-hours, getting us day-job-ers to enjoy the current exhibitions - with added extas, making the very most of Sheffield in the evenings. …and on top of all of that, you’ll be sound-tracked by music curated especially for the night by the Folk Forest, which will host the Djangonauts, an acoustic Gypsy jazz quartet. Entry is free, although a suggested donation of £5 is welcomed. Discover something new in #SheffAfter5 at the Millennium Gallery this Friday.